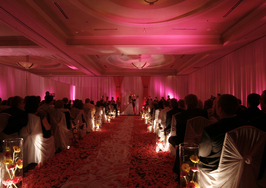 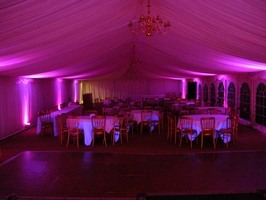 Mood Lighting is key to creating the right ambiance at your Event. 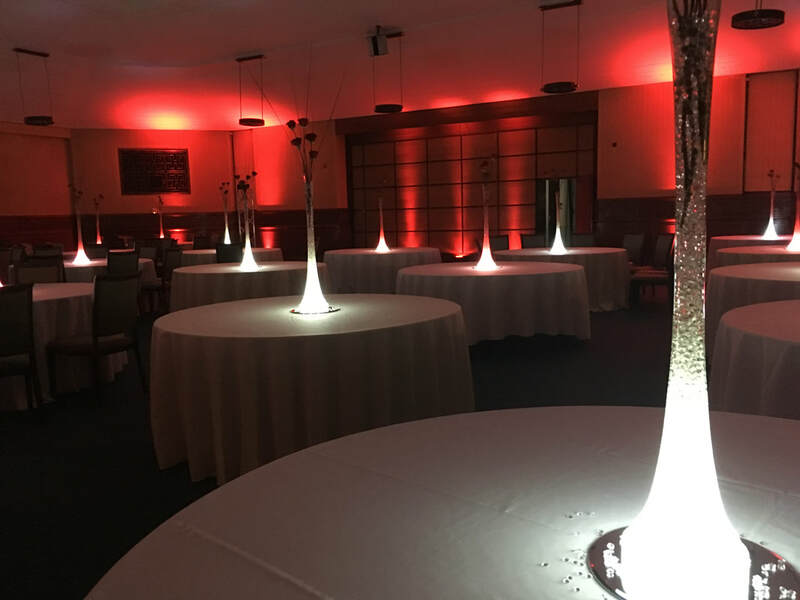 Effective use of Event lighting can completely transform the look of your function room whether it be from table centrepieces, LED Light bases, Light Curtains and Backdrops, fairy lights on your ceiling or coloured uplighters around your room, effective use of these types of lighting is key! 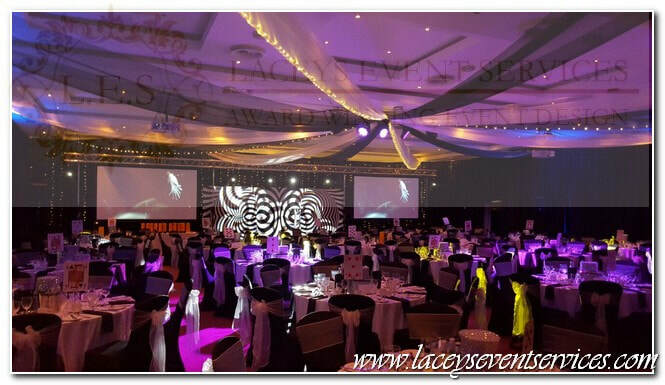 We use the latest in technology with slim line RGBW uplighters allowing us to offer a range of mood lighting and colour washing including white, red, light blue, dark blue, green, lilac, turquoise, amber, purple & pink.